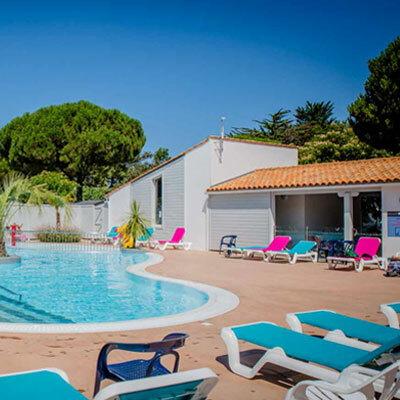 Welcome on 4 stars campsite **** les Varennes at 300m from the most beautiful beach of the île de Ré at 800m of the market of the village Le Bois-Plage-en-Ré. You can leave your car and enjoy the peace and friendliness of our campsite or make use of the cycle paths nearby to discover the various landscapes of the île de Ré. The reception is open from 9.00 am to 12.00 pm and from 2 pm to 7 pm to make a booking or inform you about the activities and excursions on the island and in the area. 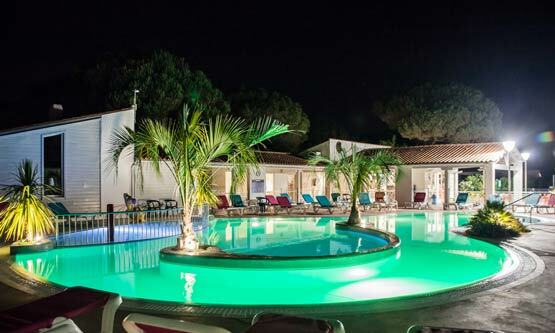 Do you want to spend an unforgettable holiday at a campsite on the Ile-de-Ré with an indoor heated pool and discover one of the jewels of the Charentais Archipelago? Our 4-stars campsite Les Varennes welcomes you back to nature, only 300 meters from one of the island’s most beautiful beaches, in Le Bois-Plage-en-Ré. In a wooded natural setting and friendly atmosphere, we offer large pitches (about 90 m2) for tents, caravans and campers, as well as equipped mobile homes for guests that prefer a little more comfort for their holiday in Charente-Maritime. During the summer, we organize night pool so that you can do your laps while watching the stars. 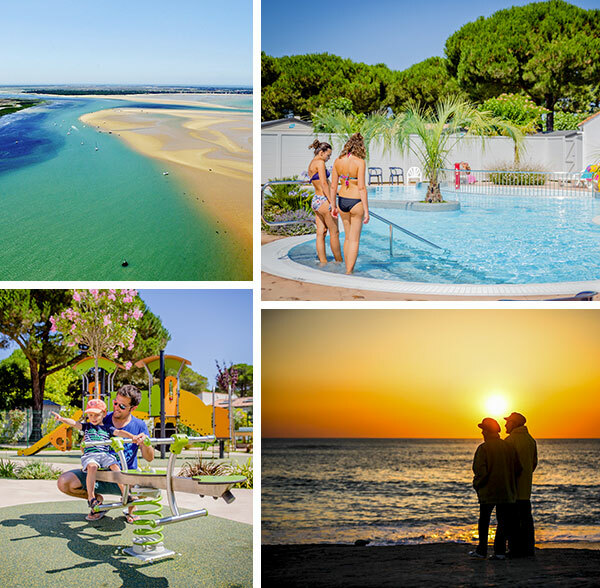 Our campsite in Le Bois-Plage-en-Ré has one of the most beautiful pool area in Ré la Blanche. Our resort has two heated pools (including an indoor pool at 28°C) with padding pools for children who are excited to play in the water, water games and a solarium with sun loungers available to our guests. 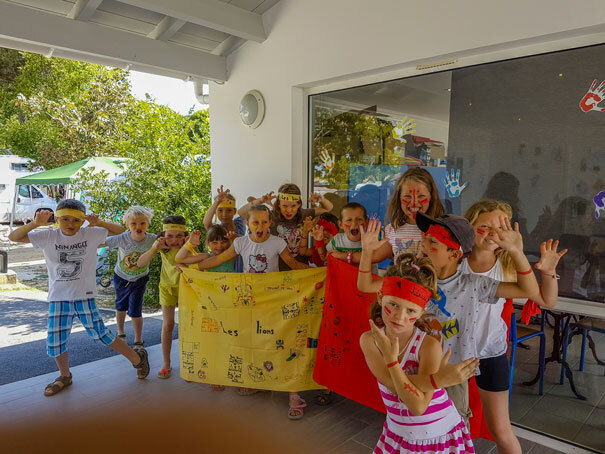 To improve your island holiday, we at Les Varennes also have a playground area for children, petanque ground, ping-pong tables, a grocery with a bar(bread and pastries available every morning), a Mini Club, grills and free Wi-Fi. To learn more about the entertainment provided by the campsite, bicycle rental and activities on the Ile-de-Ré and in the surrounding area (La Rochelle, Fort Boyard…), check with the front desk upon arrival. 85 mobile homes for rent on the Ile-de-Ré for 4-6 people. The “Family”, the “Family Comfort”and the “Large Comfort”. The “Family” (25 m2 or 29m² – 2 bedrooms) accommodates up to 4 people. The “Family Comfort”, (28 m2 or 30m2 – 2 bedrooms) accommodates up to 4 people. The “Large Comfort” (31 m2 or 32 m2 – 3 bedrooms) accommodates up to 6 people. Choose your mobile home at Le Bois-Plage-en-Ré. We have 56 camping pitches at our wooded Les Varennes campsite on the Ile-de-Ré (about 90 m² each), and all are open to campers in tents, caravans and campers. This campground in Le Bois-Plage-en-Ré, under the shade of the stone pines, oaks and cypress trees, is the perfect place for camping purists that want to discover Ré la Blanche. If you want to learn to surf, head to Les Grenettes (Sainte-Marie) or the Pointe de Grignon in Ars-en-Ré, one of the most beautiful villages in France. The Ars bell tower will enchant you with its unique colors. Painted in black and white, it is landmark for sailors. 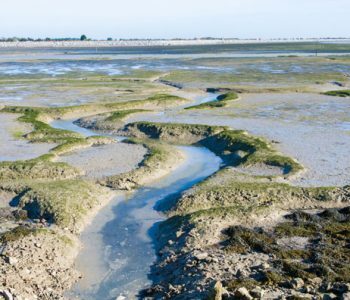 The La Conche des Baleines beach near Saint-Clément, réserve naturelle Lilleau des Niges (Portes-en-Ré), the Sainte-Catherine church and the Marais Salant de Loix ecomuseum are all places not to be missed on a trip to the Ile-de-Ré. 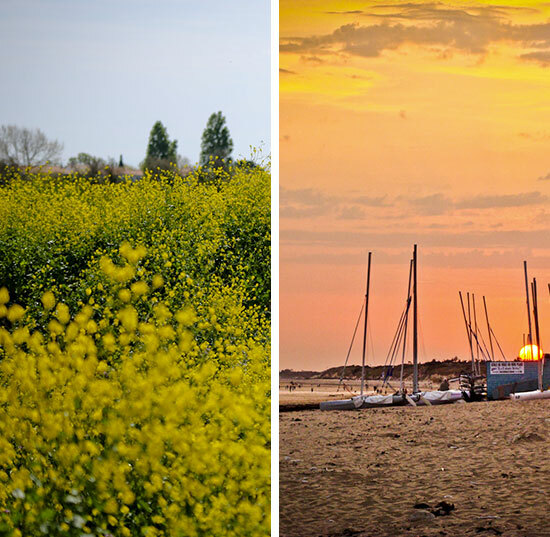 With nearly 100 km of coastline, Ile-de-Ré has some of the most beautiful sand beaches and dunes on the Atlantic coast. Les Grenettes, on the south coast, attracts surfers and water sports enthusiasts. Le Bois-Plage-en-Ré has a beautiful beach 5-6 km long, including both the Petit Sergent and Gros-Jonc beaches. The north coast is known for its small cliffs (Saint-Martin-en-Ré) and its beautiful La Conche des Baleines beach. Taking a bike ride with your family, partner, or friends is beyond a doubt one of the most beautiful things to do on the Ile-de-Ré. 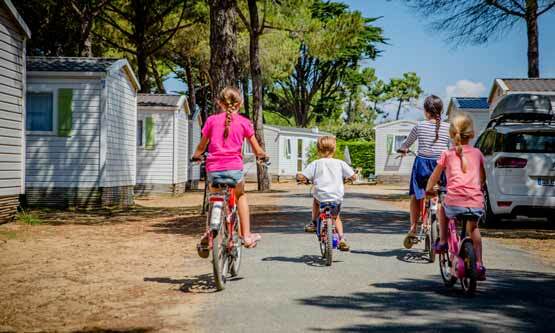 Our campsite offers bike rentals with trailers or seats for children. Go ride on the 110 km of bike paths that cover the island. 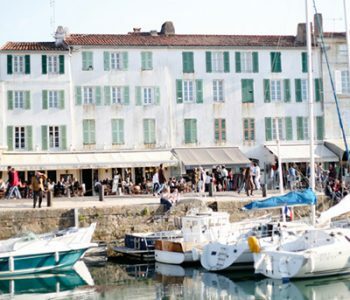 Once on your bike, you will enjoy riding down the coast, stopping at a beach or riding through a village to try the Charentais specialties. Part of the Charentais Archipelago, separated from the rest of France by the Pertuis Breton strait, the Ile-de-Ré is an island paradise where time seems to stop. From Le Bois-Plage-en-Ré to Saint-Martin-en-Ré, from the Baleines lighthouse to the Marais Salant ecomuseum, go explore Ré la Blanche by car or bike (over 100 km of bike paths). By foot, by bike or car, exploring Ré la Blanche is already an unforgettable adventure. 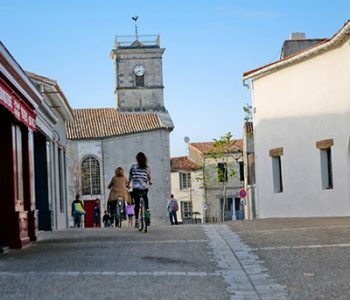 History and architecture buffs can begin their tour of this island in Charente-Maritime bathed in the Atlantic Ocean with the Vauban fortifications of Saint-Martin-de-Ré, a UNESCO world heritage site, before heading to Fort La Prée in La Flotte. The island houses several remarkable churches including the Saint-Martin church, the Sainte-Catherine de Loix church and the Sainte-Étienne d’Ars-en-Ré church. The Ernest-Cognacq Museum, located in a historical monument in Saint-Martin, is one of the most beautiful museums in Nouvelle-Aquitaine. It bears the Museum of France label, and opens the door to the history of the island. The Museum du Platin, Abbey des Châteliers and the Church in Saint Martin de Ré are just a few of the cultural sites to see on the Ile-de-Ré. And of course we can’t talk about this paradise in Charente-Maritime without mentioning its beautiful beaches (Beach de Trousse Chemise, La Conche beach, Gouillauds, Grenettes) and its famous lighthouses like the Baleines lighthouse (Saint-Clément-des-Baleines) and the Chauveau lighthouse (Rivedoux-Plage).